Samsung is set to have a busy year in 2019. The Korean tech giant is expected to launch three Galaxy S10 models, as well as its long-awaited folding phone, by early next year, according to Bloomberg. 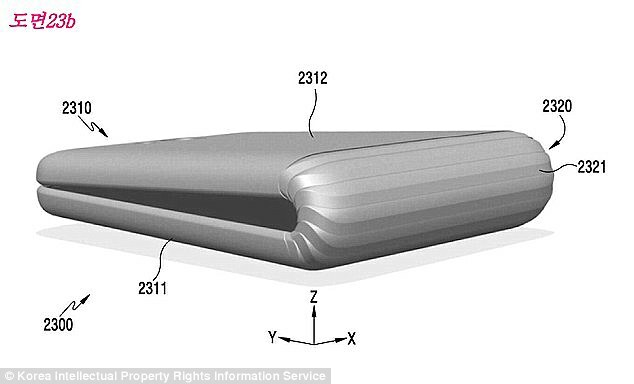 A folding phone has been in the works at Samsung for many months now, with speculation of such a device first bubbling up over a year ago. Bloomberg said Samsung's foldable phone is currently being developed under a secretive codename called 'Winner,' which is line with previous reports that made the same claim. The firm is mulling over two prototypes - one of which is longer horizontally, while the other is longer vertically - with designers preferring the portrait model, as it's easier for users to hold than a landscape design. It would also have a four-inch screen on the outside so that users can check their messages and notifications without having to flip it open. The device would take after the once-popular Motorola Razr, featuring a screen that opens with a snap. It also weighs over 200g as it features a massive screen. The firm has also been working with Google to develop a special version of Android for the device. Samsung is said to be planning Galaxy S10 and S10 Plus models that have curved OLED screens, in-display fingerprint sensors and almost no bezel at the top or the bottom. The S10 will also have triple cameras on the back. The firm is mulling over leaving the headphone jack out of the S10 and S10 Plus, which would be in line with rivals like Apple. In addition to those devices, Samsung is also expected to release a cheaper version of the S10. Unlike the other two models, it wouldn't feature a curved screen or an in-display fingerprint sensor. The move comes as Samsung Mobile CEO DJ Koh confirmed a folding smartphone would finally hit the shelves. Koh didn't offer up many details about how the phone will be designed, but said the company wants to give users a unique product that's much different from a tablet. 'Every device, every feature, every innovation should have a meaningful message to our end customer,' Koh told CNBC. Koh explained that the development process has been 'complicated' but that it's 'nearly concluded' it, CNBC said. 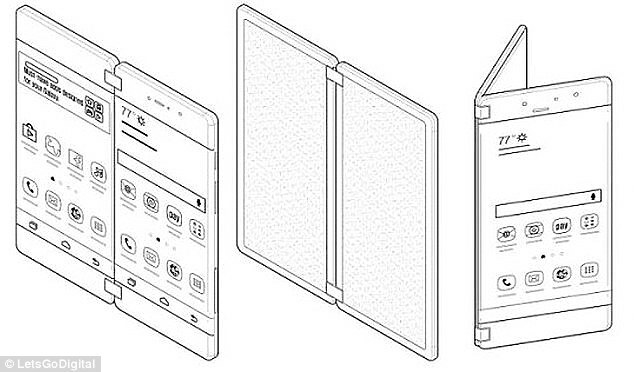 Samsung has had its eyes on a foldable phone for many years now. It first released a prototype bendable OLED display in 2012 and then created an advertisement showing off a possible foldable phone design in 2014. Since then, rumors have been steadily building suggesting Samsung could soon release a folding phone. 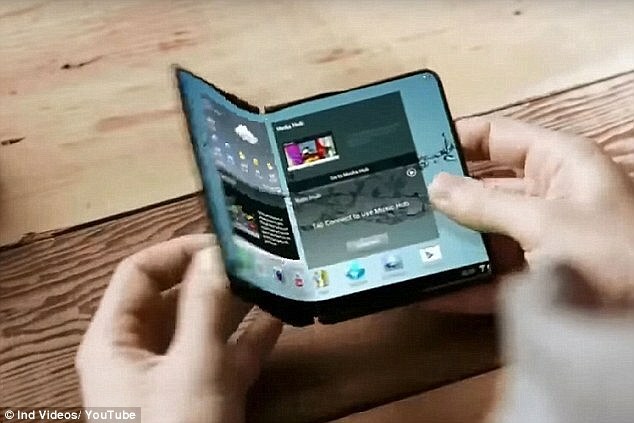 A report from the Wall Street Journal in July said Samsung is developing a device, codenamed 'Winner,' here the screen can be folded in half like a wallet. It's expected to have a 7-inch display that, when folded, features a camera on the back and a small display bar on the front. Previous reports have indicated that the official name of the device will be the Galaxy X. 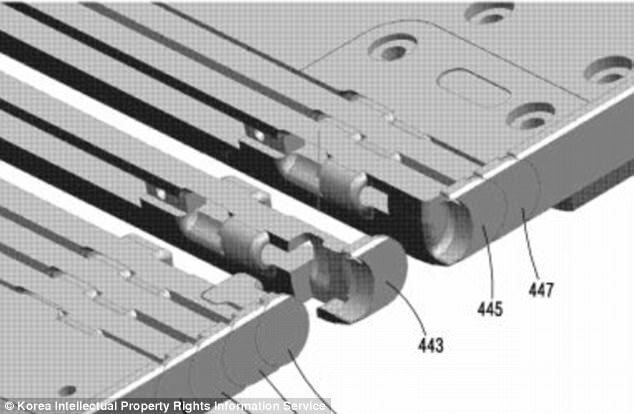 Late last year, patent drawings revealed more details of what could be Samsung's first foldable phone. 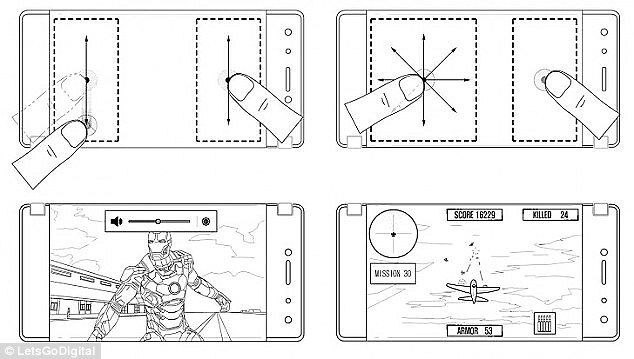 Similar to the Journal report, the sides of the device can be folded inwards or outwards, to transform into a tablet. When not in use, the secondary display can be turned into a touchpad, which could see it turned into a gaming console rather like Nintendo's DS range. The patent that was published in the WIPO database was requested by Samsung Electronics on April 24, 2017.